US producer and distributor Chicken Soup for the Soul Entertainment (CSSE) has appointed three industry executives to roles focusing on VoD, content distribution and production. 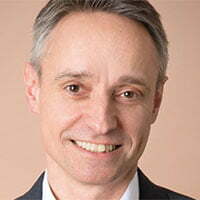 Philippe Guelton has been named executive VP and president of VoD networks, having previously held top roles at companies such as SheMedia (previously known as SheKnows Media) and Thrillist Media Group. David Fannon has been promoted to executive VP of distribution for CSSE, while remaining in his role as president of CSSE distribution arm Screen Media. George Lansbury, formerly of Fusion Media Group, has been recruited as executive VP of content strategy and president of CSSE originals. CSSE owns and operates six ad-supported VoD networks: Popcornflix, Popcornflix Kids, Frightpix, Popcornflix Comedy, Espanolflix and Truli, alongside its SVoD platform Pivotshare. It also produces original television series as well as shortform videos across a range of topics, funded primarily by sponsors. Current series include Hidden Heroes on The CW, Vacation Rental Potential on A&E and Being Dad on Netflix. Screen Media, meanwhile, distributes independent film and TV titles, such as Terry Gilliam’s long-awaited feature film The Man Who Killed Don Quixote, starring Adam Driver and Jonathan Pryce.